Yesterday afternoon (March 19th), trucks carrying uranium headed to the Angra II nuclear plant came under attack by armed individuals who engaged in a shootout with police officers guarding the convoy. RIO DE JANEIRO, BRAZIL – Federal highway police officers protecting a convoy transporting uranium to one of Brazil’s nuclear plants in Angra dos Reis engaged in a gunfight with armed hostiles who shot at the convoy early Tuesday (March 19th) afternoon. The uranium convoy that was attacked on Tuesday was headed to the Angra II nuclear plant (above), photo internet reproduction. The uranium convoy started at the town of Resende at around 6AM. As it was passing the town of Frade, about nineteen miles (thirty kilometers) outside of Angra dos Reis, the convoy came under gunfire. 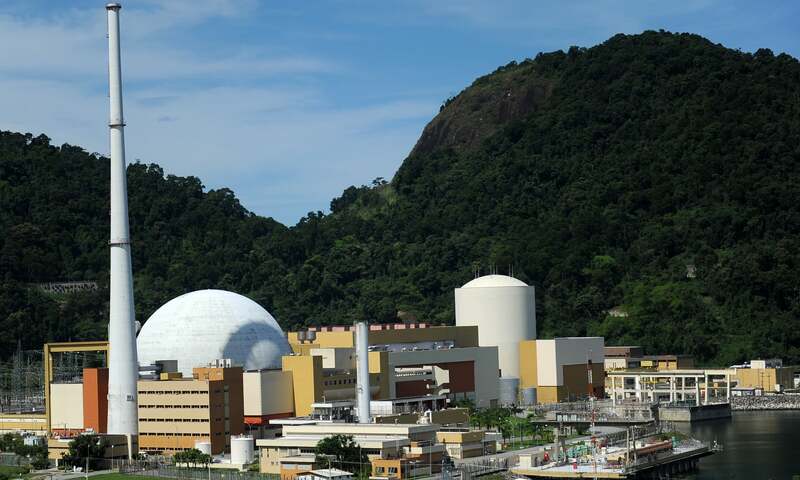 Highway police officers were able to fend off the attack and the uranium convoy reached its destination, the Angra II nuclear plant, about thirty minutes later. Late Tuesday, Eletronuclear, a subsidiary of Eletrobrás, which operates the Angra I and II nuclear plants, released a statement saying that the group that shot at the officers likely had no intention of hijacking the cargo, theorizing that police officials may have been caught in the crossfire of a gunfight between local armed gangs. Tuesday’s attack happened in the same area and on the same highway where British tourist Eloise Dixon was shot and wounded in 2017 after her and her family drove into the Água Santa favela community searching to buy bottled water.